Moving is hard. Let us Help. Thank you! Our storage experts will contact you shortly. Click here to get $40 off your first move with Bellhops! Click here to see all DISCOUNTS and SPECIAL OFFERS! Our storage experts are always ready to help. A short-term contract with no security deposit. Our facilities feature 24 hr video surveillance, high-security locks, and gate-controlled access. Extended access hours for tenants - 365 days a year. Ideal for dorm rooms, seasonal decorations, small furniture and boxes.. 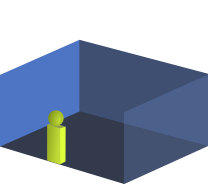 Size of a walk-in closet. Ideal for narrow items, small furniture, beds, and boxes. Great for the contents of a 1 bedroom space. Will fit most larger furniture and appliances. Great for a small house. Will fit all major appliances, boxes, and specialty items like fitness equipment. The size of a single car garage. Great for a 2 to 3 bedroom house. Can fit large furniture and household appliances. With multiple locations throughout the Chattanooga area, your belongings are always close to home.